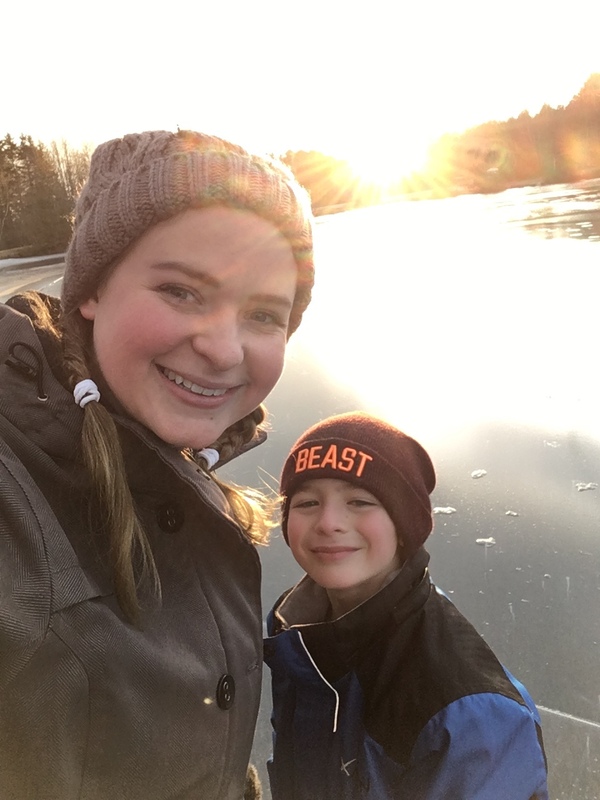 These are the words of Laura Faulkner as she and her classmate, Shannon Rasmussen, prepared for their experience practicing rural medicine in Canada’s North. Laura and Shannon are 3rd year medical students at Dalhousie Medicine New Brunswick who are both completing the Longitudinal Integrated Clerkship (LIC) program. Shannon and Laura were invited by their preceptor, Dr. Clay Marco, a family physician passionate about providing care in Iqaluit, to join him on a two-week adventure to experience rural Northern Medicine in Canada. 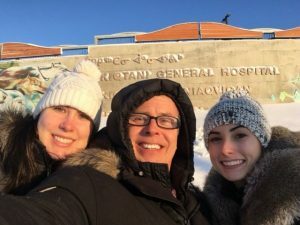 Dr. Marco lives and works in rural New Brunswick but travels frequently to Iqaluit to serve the Baffin Region in Nunavut at Qikiqtani General Hospital. 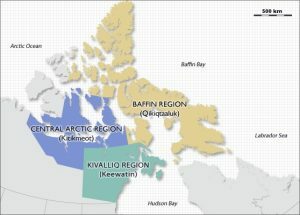 The total population is approximately 16,000 people dispersed across 12 small communities. The hospital employs several family physicians, one general surgeon, and three pediatricians, with other specialists visiting from Ottawa throughout the year. These professionals work together using a collaborative approach to communicate effectively and provide the necessary patient care. Prior to their trip, both students considered what they hoped to gain through this unique learning experience. Shannon expressed a desire to gain insight into the intricacies of practicing medicine in a rural community with limited resources. Laura hoped to gain exposure to the highlights and challenges of rural family medicine in Canada’s North. Both Laura and Shannon returned from Iqaluit having an enhanced appreciation of the extensive scope of practice that physicians in a rural community can have. Rural family physicians are required to have a wealth of knowledge and keep up to date on current standards of care across several disciplines. While physicians must rely and be confident in their own skill-set, it is also important to know when to ask for help. They also recognized through this experience that providing patient care with limited resources requires a collaborative approach amongst practicing physicians and other health care professionals such as nurses, occupational therapists, social workers and radiology technologists. These skills are essential in rural areas, but are also transferable to practices from coast to coast. 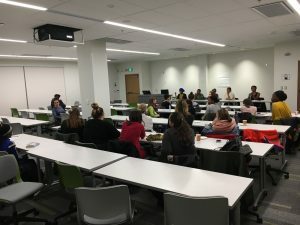 Laura and Shannon also commented on the impact that the social determinants of health have on the population in Iqaluit and how they learned as future clinicians to address these issues. The social determinants of health that are impactful in the community are the poor living conditions and food insecurity. 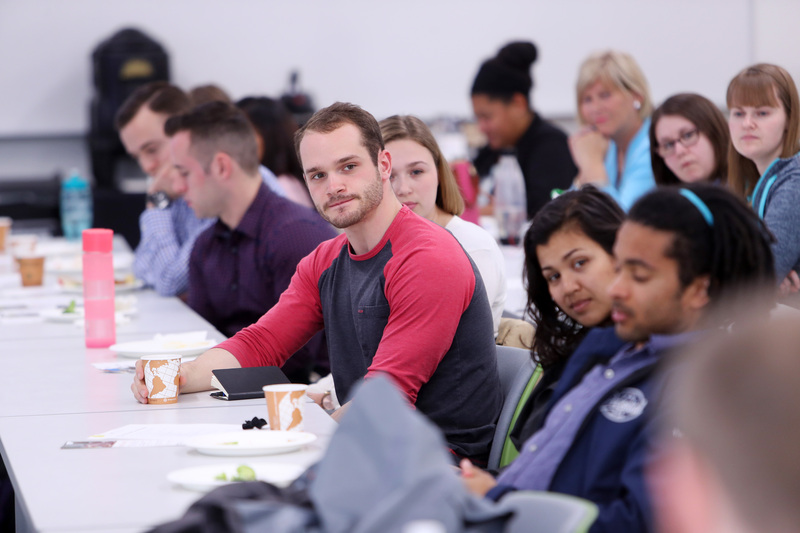 The students experienced first-hand how the social determinants of health can cause acute health problems and exacerbate chronic illness. They were able to further their understanding of how the social determinants of health must be considered and the importance of advocating to address these gaps. Aside from the clinical learnings and experience, both students were excited to learn about the Inuit culture and lifestyle. 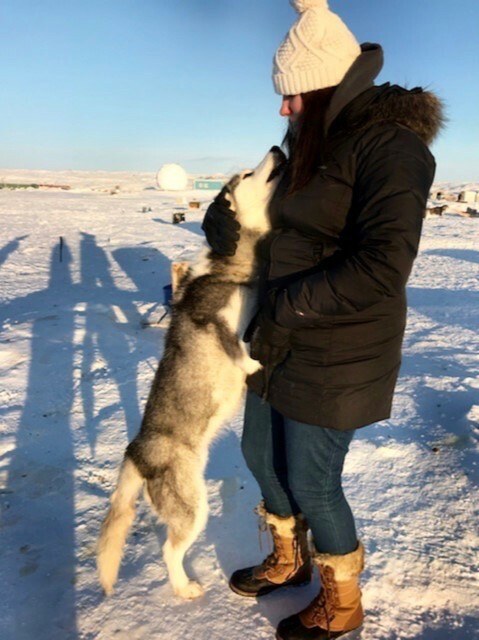 They interacted with community members to discuss the importance of sled dogs for hunting and travelling and their significance in Inuit culture. They also learned about the local languages and worked with translators for many of their patient interactions. Learning about the cultural aspects of the community and the patients’ beliefs and lifestyles assisted the students in providing better care for the patients. Laura was grateful for the skills she gained of humanistic quality. “Having compassion, listening to patient narratives, and attempting to understand from a perspective other than your own, are practices often lost throughout one’s medical education” explains Laura. 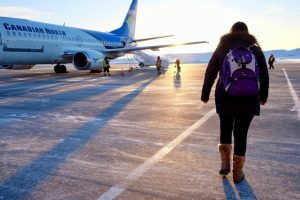 Both Shannon and Laura are eager to continue to work in rural medicine and return to Nunavut during their medical careers. 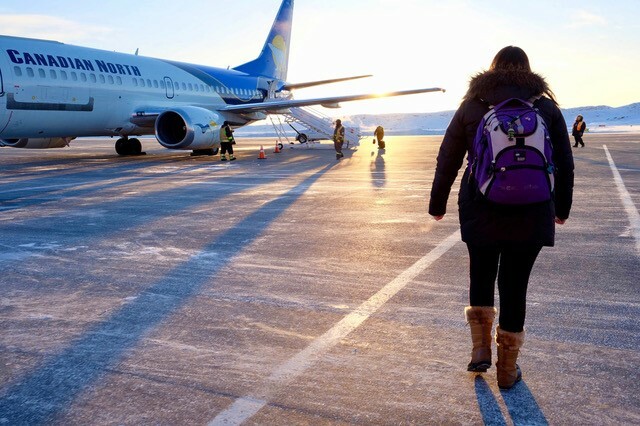 Advice they give to future students or clinicians going to Iqaluit is to always dress warm, bring food from home, buy crafts from local sellers, find the northern lights, and enjoy the winter daylight while you can! 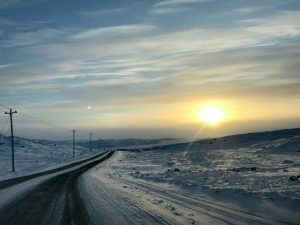 Saying goodbye to Canada’s north… for now! 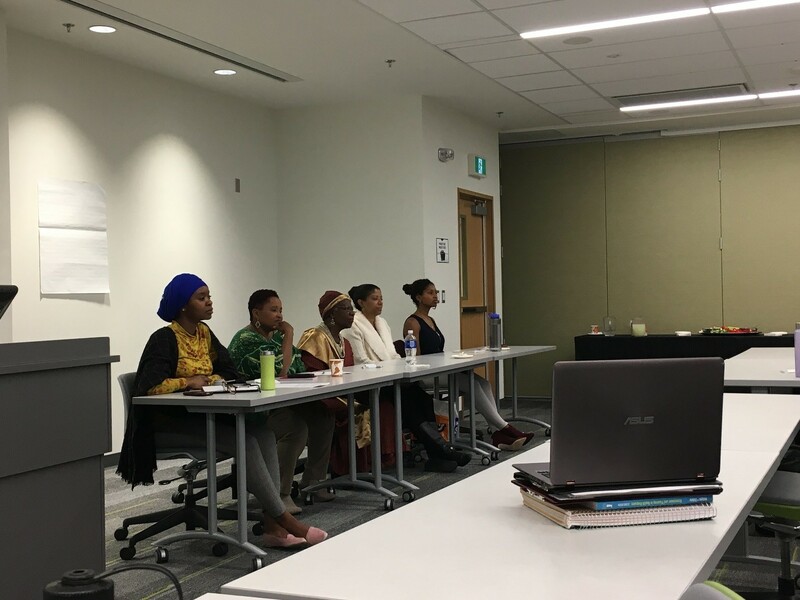 On Wednesday February 28th 2018, the HAAC-SO (Health Association of African Canadians Student Organization) held a panel discussion at Dalhousie about the experiences of black mothers in hospitals. Dalhousie final year Engineering student, Bintou Kaira, served as the event organizer. Kaira was compelled to arrange the panel due to the recent social media backlash surrounding the medical maltreatment of superstar, No.1 ranking, tennis player, Serena Williams after she gave birth to her daughter in an emergency C-section. A day following her labour Williams, who is Black, found herself short of breath and insisted to a nurse that she needed blood thinners and a CT scan, given her history of blood clots. Nurses and doctors alike ignored Williams’ request. Finally, after several demands from Williams, a CT scan was performed, which revealed she had a pulmonary embolism (blood-clotting in the lung). Williams experienced a medical crisis. Not only did she have a blood clot in her lungs, the stitches from her C-section reopened, and she had a large hematoma in her stomach. Williams could have died simply because medical staff did not take her concerns seriously. Her experience is one of many among Black mothers. Black women in Canada and the U.S. are more likely to experience maternal mortality than women of other races. It is shocking that a woman of William’s caliber and wealth, who supposedly had available to her the best obstetric care, could experience such an ordeal. The medical negligence and maltreatment she experienced tells us that being Black means you are not treated with the same kind of care and professionalism accorded to mothers of other races once you walk into the birthing room. This could have cost Williams her life. The event titled, “Experiences of Black Mothers in Hospitals—Past, Present, and Future,” moderated by Habiba Cooper Diallo, featured fifteen minute presentations from Keisha Jefferies (PhD Nursing Student, Dalhousie), Dr. Ingrid Waldron (Associate Professor, School of Nursing, Dalhousie), Josephine Muxlow (Clinical Nurse Specialist, Department of Indigenous Services), and Dr. Barbara Hamilton-Hinch (Assistant Professor, School of Health and Human Performance, Dalhousie) . The speakers broached important topics ranging from the importance for Black mothers to be empowered, educated and supported through their birthing journeys, to the need to agitate for a human rights approach to maternal health with a view towards supporting vulnerable groups, like incarcerated women, whose human rights are often stripped from them while in labour. “Doctors aren’t listening to us…we’re dying—“ Serena Williams (BBC Video Interview, March 2018) in response to her post-natal experience and the high maternal death rate among black women.